Who Is At Fault: India, Pakistan, Or Both? India-Pakistan relation’s issue is a very complex subject and to summarise it in a 180-page book needs great skill. 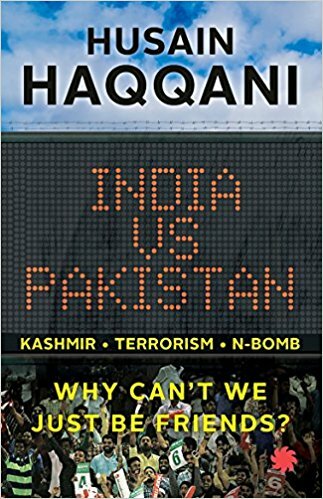 This interesting book ‘India Vs Pakistan: Why Can’t We Just Be Friends?’ written by Husain Haqqani caught all my attention. I also got an opportunity to present its review to my fellow members of the Senior Citizenship Club. Following their enthusiastic response to my talk, I now have this great urge to share the review with my blog readers as well. I shall try by introducing the author, telling about different wars, what leaders of India, Pakistan and other nations tell and finally the conclusion. Hussain Haqqani is a Pakistani, who is a former Pakistani Ambassador to the US. Not only that, but he was also an advisor to four Pakistani Prime Ministers including Late Benazir Bhutto. The author is currently the Director for South and Central Asia at the Hudson Institute in Washington DC. The authenticity of his writing increases because he is an academician per se and journalist. To better comprehend the current scenario, we must dive into the Indo-Pak history of close to seven decades. Let’s start with the wars. The creator of Pakistan, Mohammad Ali Jinnah was keen not to be in a state of permanent war with India and had a desire for similar relations between Canada and the US. Similarly, father of Nation, India, Mahatma Gandhi was no less enthusiastic about good ties between two countries and wanted to remain as an agreed separation between two brothers. Communal riots following partition lead to 500,000 deaths and 1,000,000-1,500,000 refugee Muslims moving to Pakistan, Hindus and Sikhs to India. Those affected on both sides became full of anger, bitterness, and hostility towards the other. Pakistani thought India wanted to reabsorb Pakistan because Sardar Patel said Pakistan will again reunite with India as it cannot survive. Pakistan’s share was 21% Population, 17% Revenue, and 30% Army of British India. Pakistan was not having Central Capital, Central Govt. or financial resource. Pakistan’s two wings were separated 1000 miles with India. Pakistan had no industry – Pakistan producing 75% world’s jute had no jute processing mill. Pakistan’s non-Muslim entrepreneurial class dominating commerce fled to India. Pakistan’s economic crisis worsened by political chaos. Jammu and Kashmir (J&K): The region adjoining both the countries, JK's Hindu Maharaja Harisingh wanted to remain Independent. Sheikh Abdulla was closer to Congress than the Muslim league. Pakistan missed to convince Sheikh Abdulla and could neither negotiate Maharaja Harisingh instead launched ill-planned tribal (Pakistani tribesmen) invasion, so Harisingh joined India and asked for army help. Thus, Pakistan inviting a war and losing it in starting of new country eroded Pakistan’s argument about Kashmir by virtue of Muslim majority. Before the said 1948 war at J&K, the agreement between India – Pakistan was 17.5% share in the assets and liabilities of British India.750 million Rupees & 165000 tons of arms, ammunition, and military material. Sardar Vallabhbhai Patel (the then Deputy Prime Minister) said Pakistan was at war, so to withhold Pakistan’s share of assets due to them under the Partition’s scheme. Mahatma Gandhi went on fast in Jan 1948 for paying Pakistan’s share immediately. 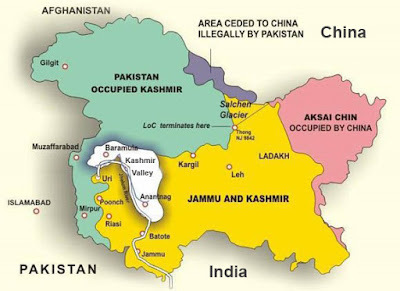 After the 1948 war ceasefire, Pakistan had 35%, India 48% and (after 1962 war) China had 17% of the J&K land. In 1951, the first PM Liaquat Ali Khan was assassinated. Pakistan first military coup in 1958 by General Ayyub Khan took place because Prime Minister Firoz Khan Noon had spoken of the folly of war and Jamat-E-Islami who wanted the force to settle India Pakistan issue. 1963: the US provided Pakistan with weapons and training. Pakistan got Patton Tanks and F-16 Sabre Jets. Thus army became twice as large as at the partition. During 1965 War, Pakistan started sending infiltrators into Kashmir hoping Kashmiri Muslim would arise in mass rebellion against India but failed. Both armies returned to pre-war positions after talks at Tashkent, Soviet Union. Pakistan lost 3,000-5,000 men and 250 tanks with 50 aircraft, occupied 1,600 sq. miles of India’s territory. India lost 4,000 – 6,000 men, 300 tanks and 50 aircraft and occupied 350 sq. miles of Pakistan real estate in Punjab and Kashmir. 1965: War left both seeing each other as more than enemies. Pakistan rulers used Jihad as religious symbolism. ‘We will not rest till India’s guns are silenced’, Ayyub Khan added, ‘Hindus are cowards and hypocrites’, telling one Muslim soldier had the power of five Hindus. General Yahiya Khan conducted the first direct election in Dec 1970. Here, Awami League of Bengalis had election sweep and the majority in new Constituent Assembly. The Bengalis of East Pakistan demanded greater provincial autonomy, normal relations with India and secularism. This was not acceptable, so the army refused to hand power. So, the Bengali leaders of East Pakistan became rebellion and the military tried to suppress the revolt by force. India sided Bengali people because a large number of refugees poured into India. Outnumbered and isolated Pakistan’s Eastern Command surrendered to joint forces of India and Bangladesh. In Dec 1971, the end of the war led to 93,000 prisoners of war and Pakistan remained only as Western Wing, losing its Eastern Wing as Bangladesh. Shimla Agreement: In the summer of 1972 at Shimla, Zulfikar Ali Bhutto (a hardliner against India and a strong proponent of war to secure Kashmir) and the Prime Minister of India – Indira Gandhi negotiated. The ceasefire line in J&K was declared LOC - the line of control. Actually, Bhutto later took credit for the ultimate capitulation of completely giving up its claim on Kashmir. Undeterred by PM Nawaz Sharif’s Lahore Declaration, army chief General Pervez Musharraf decided to attack Kargil. Pakistani troops of commandos crossed the line of control to take over Indian Positions vacated during winter. Whether Sharif mistakenly signed off on the venture or was never fully informed remained debated. After Pakistan’s initial success, India counter-attacked inflicting heavy losses on Pakistani Troops. They seemed too determined to try to change the LOC of Kashmir by force which was unacceptable to Pakistani brokers like US, China, and the rest of the world. Pakistan could attack because India neglected threat. India and Pakistan following the intervention of great powers returned to their pre-war position of 1948. Credit was given to US President for persuading Pakistan PM. This intensified Indian mistrust of Pakistan. During Kargil, Pakistan failed to create a real nuclear flashpoint because India did not cross LOC. Americans had become convinced that Pakistan was more reckless than India with nuclear weapons. Both India and Pakistan have been victims of terrorist attacks over 25 years. Anti-India terrorists have received funding, arming and training in Pakistan. Nobody in the world agrees to Pakistan telling that terrorist represent Kashmiris, Muslims and other minorities oppressed by India. Irregular Warfare: Traditions of irregular fighting developed and they denied the enemy of any target and kept attacking again at unexpected places. Generals of Pakistani Army thought this as a cheap and easy option. US and USSR in Afghanistan: US decided to bleed USSR in Afghanistan by supporting Pakistan-based Mujahedin. So, this Afghan Jihad brought Pakistan a big amount of money, weapons, and fighters from all over the world. All these led USSR to bleed by Afghans to the point where Soviets opted to withdraw from Afghanistan. Khalistan (1980-92): Part of terrorism of Afghan was diverted to assist Sikhs involved in the Khalistan insurgency. It was assumed that the new Jihadi or Khalsa would inflict sufficient pain on India to force surrender. India managed to fail them in this mission. 1987: J&K State Assembly Elections: In Mar 1987, Pro-Pakistan group MUF (Muslim United Front) won 8 to 76 state assembly seats and 34% vote share. When protest broke following this election, Pakistani Intelligence Agency recruited discontented Kashmiri youth for full-blown militancy against India. Over time, Pakistani Jihadi groups replaced them to expand the scope of fighting. They labelled this insurgency as 'Kashmiri people’s freedom struggle'. Later on, ISI – shifted support away from Kashmiri groups. These groups of Pakistan expanded their operations all over India and Kashmir. This led international Public opinion against Pakistan’s support. The US, UK, and even Muslim countries like the UAE and Saudi Arabia listed Terrorist groups and facing Sanctions from them. Musharraf was forced to ban some militant groups and declare that he would not allow terrorism even in Kashmir that never happened. After Mumbai attack, ISI Chief, LT Gen Ahmed Shuja Pasha, told the author, "If we do not have control over our people, what is our future?" There is hardly any answer to this. India attempted to “name and shame” Pakistan as terrorism incubator. India tried to isolate Pakistan from the international community. This led again to irregular warfare by Pakistan. 1991-92: James A Baker III, US Secretary of State wrote a brief letter to Sharif “telling” (demanding) terrorist do not get support from Pakistan, be the terrorist of Kashmir or Punjab. No training, weapons, or other support be provided. In ISI view, Jihadi terrorism only counters RAW’s operation that weakens Pakistan. 1948: Majority of 58 members in India took J&K issue to UN complaining about armed Pakistan raiders. On 21 Apr 1948, asked for Plebiscite. Pakistanis handling of the state has been unstrategic, overwrought, and unsophisticated both in past and present. While India hasn’t always behaved well, especially in brutal militarization and frequent human rights violation, it is Pakistan that has erred in adopting a zero-sum approach. Pakistan Army Chief said Pakistan would not swallow the bitter pill of recognizing that Kashmir dispute might not be resolved any time soon. Pakistan has supported Jihadi terrorism against India for years at great cost to itself. The Kashmir issue might never have arisen if the Muslim League had prepared better for Pakistani Independence. When British Crown freed the Princely States from the obligation to British rule, the Congress began accession with Princes right away while the Muslim League was completely unprepared. 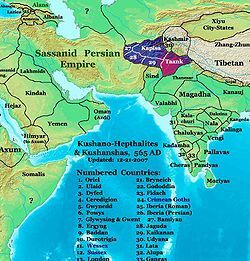 Of 562 princely states, only six hesitated in accession to India, (1) Travancore, (2) Bhopal, (3) Jodhpur, (4) Junagadh, (5) Hyderabad, and (6) Jammu and Kashmir. Others readily surrendered to join India. Others readily surrendered to join India. Jinnah told Mountbatten that if Congress exerted any pressure on Hyderabad, every Muslim (100 million Muslims) would defend him. This did not happen. Historian Ramchandra Guha says Jawaharlal Nehru wanted Kashmir to join India, while Sardar Patel did not. But, Sardar changed his mind when on 13 Sep 1947 Pakistan accepted accessions of Junagadh. The Muslim League politicians supported by Muslim Army (Senior) Pakistani officers organized a tribal Lashkar from the areas of Afghanistan. This Lashkar’s invasion of Kashmir provided justification for the Indian Army to land in J&K. And panicked Maharaja Harisingh signed Instrument of Accession to India on 26 Oct 1947. 21 Apr 1948: UN Security Council established a commission for India and Pakistan. UNCIP asked for a plebiscite. 13 Aug 1948: UNCIP adopted a more detailed resolution with the plan for a ceasefire, truce agreement and plebiscite. 21 Apr 1948: Majority of 58 members of UN asked for a plebiscite. 05 Jan 1949: UN Security Council nominated US Fleet Admiral Chester Nimitz. 1952: Sheikh Abdullah and his party – all J&K National Conference ratified the accession to India in J&K Constituent Assembly. 1957: 82 members asked for a plebiscite in Kashmir. 1962: After the Indo-China war in the Aksaichin northeast border. Recently, in Sept. 2015, Pakistan PM Nawaz Sharif went to the US, but 193 members of UN did not respond. British Minister for Commonwealth relations, Duncan Sandy and US Asst. Secretary for the state for Far Eastern affairs, W. A. Ferrell tried for Indo-Pak discussions, but Ayub Khan turned down any dialogue with Nehru. 1962: The British and the Americans proposed third-party mediation which India rejected. 1963: Pakistan negotiator and representative Zulfikar Ali Bhutto and Indian Minister Swarna Singh had six rounds of negotiations. India offered 1500 sq. Miles over and above LOC of Kashmir, but Pakistan refused. India provided three different maps of territorial adjustments, they refused. Pakistani side agreed only for a small town of Kathua to be offered, of total Kashmir. Altaf Gauhez, the Pakistani advisor, said Pakistani military assumed India too cowardly and ill-organized to offer an effective military response. Commander Ayyub was of the idea that “Hindu morale would not stand more than a couple of hard blows at the right time and place. He ignored Indian Sikh, Parsi, Muslim and even Jewish Generals of the army. Pakistanis assumed Muslim Kashmiris wanted to be part of Muslim Pakistan. India whether by force or with consent, gradually integrated the Kashmir population into the Indian Nation. The Proliferation of Kashmir oriented Jihadi groups Lashkar–e–Taiba and Jaish–e–Muhammad and their attacks on Indian civil public have eaten away international support for Pakistan. Pakistan’s Kashmir policy remains by and large in the hands of the military even when civilian prime minister held office. In Pakistan however, there has never been much discussion of a “bottom” national position on Kashmir conflict. Normalization of relations with India an emerging global power and also the strategic partner of the world’s sole superpower is far more important for Pakistan than it was even in past. Sidney Sober then acting Ambassador of US to Pakistan had observed Pakistan became more vehement about Kashmir after the loss of Bangladesh in 1972. Actually, Kashmir settlement has not possible without a fundamental change in the mindset of the Pakistani establishment. The experience of other countries embroiled in similar disputes indicates that the friendship first approach works more effectively than “settlement first” approach. 1996: Chinese President Jiang Zemin told Pakistani Parliament “If certain issues cannot be solved for the time they may be shelved temporarily so that they will not affect normal state to state relations”. Instead of setting aside the dispute for the moment to normalize relations with India, the Pakistani military insists on the resolution of Kashmir issue. India, intent on seeing itself in global rather than regional terms seems willing to ignore the dangers inherent in possession of nuclear weapons by two bitter neighbours. India has never been willing to even discuss nuclear issues. Never before have nuclear nations faced provocation by terrorism on their own soil. Pakistan already has 120 Hiroshima sized warheads which could increase to around 350. Parvez Hoodbhoy, a social activist and physicist, says this could exceed what France (290), China (240) and UK (190) have. He bemoaned that if even half are used by Pakistan and India, both will certainly be destroyed, but radioactive ash and smoke would cause a global catastrophe. If India and Pakistan will have a nuclear war, both India and Pakistan will win. But, at the end of it, neither will exist to see victory. Pakistan brigadier Amanullah told “we should fire at them and take out a few of their cities Delhi, Bombay, and Calcutta. They should fire back and take Karachi, Lahore. Kill off a hundred or two hundred million people. They have acted so badly towards us, they have been so mean to us, we should teach them a lesson. Let it teach all of us a lesson. He blamed India squarely for Pakistan’s backwardness and not to its leaders for a decision to invest in the military at the expense of human development. In reality, 40,000 Pakistanis have already been killed at the hands of terrorism. Pakistan’s economy, its international relations and the ability of its citizen to travel abroad - all have suffered. US President George w. Bash once described Pakistan’s fixation with India as an obsession. India believes non-nuclear proliferation should be universal means either no-one or everyone should have instruments of mass destruction. Dr Abdul Khan, better known as ‘A Q Khan’ met Zulfikar Ali Bhutto after 1971 defeat. He “motivated for fear and hatred for India”. And offered to share nuclear technology learnt at the Netherlands. A Q Khan was helped by Soldiers, Civilians, Businessmen, Smugglers and Embassy officers. UN Sanctions imposed on both India and Pakistan hit Pakistani economy harder development projects were suspended. 1989 Rajiv Gandhi - Benazir Bhutto Agreement: The agreement between the two prime ministers interestingly provides an annual exchange of lists of nuclear installations in each country. Vajpayee and Sharif jointly signed the Lahore Declaration. Mullah seeking greater power at home in the name of Islamization took over Pakistan. 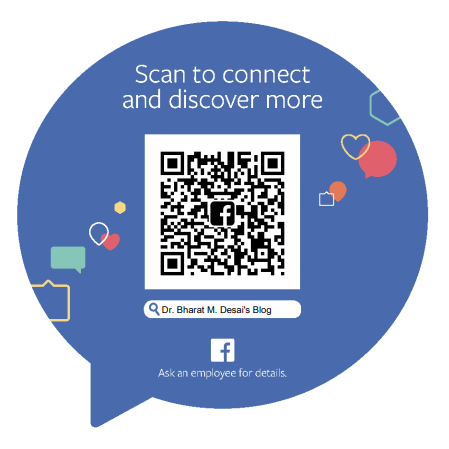 LeT asked in the advertisement the Pakistan youth to join even as part-time. Actually, anti-India Jihadi groups were a danger to Pakistan. Killed Saber Mahmud – a Karachi based social activist for celebrating Valentine’s day. Attempted on the life of the Nobel laureate Malala Yusufzai, for positive blog against Taliban opposing girls’ education. Theological arguments of Hadith about a final battle in “Hin” before the end of times were used for recruitment. Many Pakistanis realize that this terrorism has rebounded, and (a) it endangers life – lives of Pakistanis, (b) Endangers lawlessness, and (c) Makes Pakistan as a potential pariah (outcaste). History Textbook lies in the Pakistani’s Textbook K.K. Aziz Pakistani historian observed: (1) At supporting military rule in Pakistan, (2) Inculcating hatred for Hindus, (3) Distorting and glorifying history about Pakistani, (4) Traditional Ulemas are described as being founders of the ideology of Pakistan, (5) Communal riots at the time of partition are described as “Hindu and Sikh massacres of unarmed Muslims”, and it stopped when India got frightened of Pakistani army, and (6) 1965 war with India described as Pakistani victory. After independence, the percentage of Muslims in India increased in population, while Hindus and Sikhs were reduced to only 3% in Pakistan. The Kashmir dispute, terrorism and the advent of nuclear weapons have all aggravated the rivalry. India wants to accentuate similarities between two nations, but Pakistan scares this. Pakistan fuels the need to emphasize differences and feeds mistrust. Islam and anti-India sentiment are the cornerstones of the ideology of Pakistan. India has voluntarily given concessions to Pakistan despite defeating it in all the major conflicts. Thus, India has not been decisive and surgical in resisting Pakistan subversion. 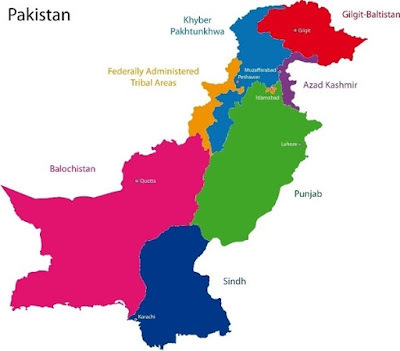 Pakistan blames India of – stirring up rebellion and supporting separatists in Baluchistan – financing extremist in Karachi and Khyber – Pakhtunkhwa region. India blames Pakistan for – protecting Dawood Ibrahim of 1993 Mumbai bomb blast, supporting Hafiz Saeed, Masood Azhar and Jihadis doing Terror attacks in India. In fact, with Nuclear weapons, Pakistan should feel secure about being military overrun by India. Pakistan’s notion of existential threat is now only psycho-political and ideological. Pakistan would do better to heed Chinese President Jiang Zemin’s advice: (1) Shelve Kashmir issue temporarily to build normal state to state relation, (2) Both should do expanding interaction in trade, travel, culture and sports (Pakistan initially refused this also), and (3) Pakistan would benefit from changing its goal from seeking parity with India to ensuring national security and economic development. Thus if we start dealing with each other, similarities could re-emerge and the contrived animosities could begin to diminish. If co-operation begins, Pakistan can stop Jihadi fanatics while India can stop regression into a communal fervour. If the atmosphere of goodwill and understanding develops all problems will resolve themselves. As Pakistan is having never-ending competition with India, India is ill-served by its public figures posing Muslims as enemies. In the 21st century, the task of debating the irrelevance of the two-nation theory should be left to Pakistan who cannot ignore this harsh fact forever. Title: India Vs Pakistan: Why Can’t We Just Be Friends? It's an exhaustive list of countless issues between Pakistan and India (most of all being frivolous and irrelevant to the citizens on both sides, even those in Kashmir). I would like to go through the article a couple of times more to be able to make any comments, but I must say it's a one stop compilation of all that has happened and been happening between the two neighbours. Details are more academic and less relavant to civilians of both countries. True. Actually, those interested in knowing the exact issue will get the point in this article. Recently, the author of the book gave TV interview and told his views. He said four-five wise and cool headed persons with national influence on both sides...India and Pakistan...should meet and solution is not far away. 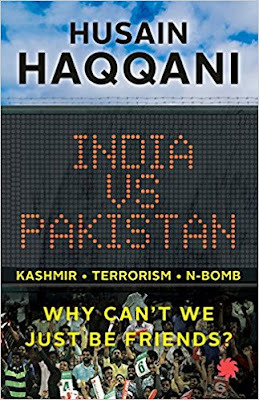 Hussain Haquani, the author, is not honoured, even hated in Pakistan, because he tells all the bad points of Pakistan openly about ISI and Army role and criticize poor development of Pakistan and at the same time praise India. "Peace cannot be kept by force, people, it can only be kept by understanding." That is all i would like to say.